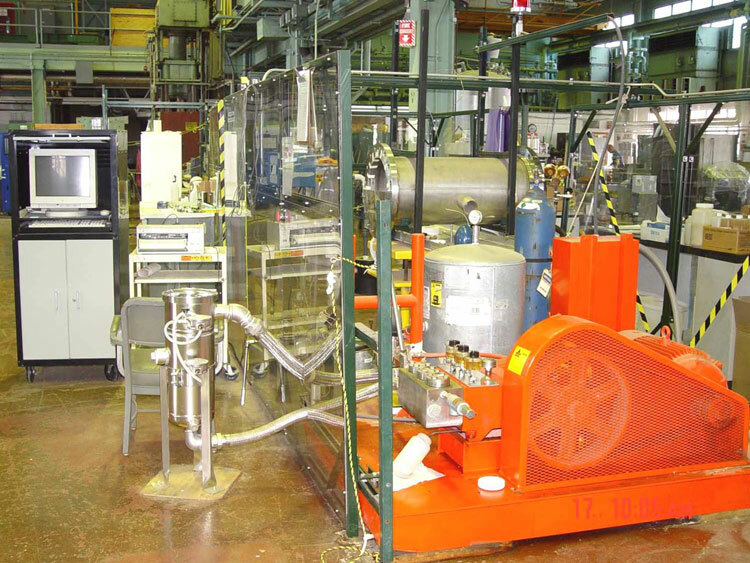 The Nuclear Engineering Division conducts research and development and validates models for tube performance in pressurized water reactor steam generators. 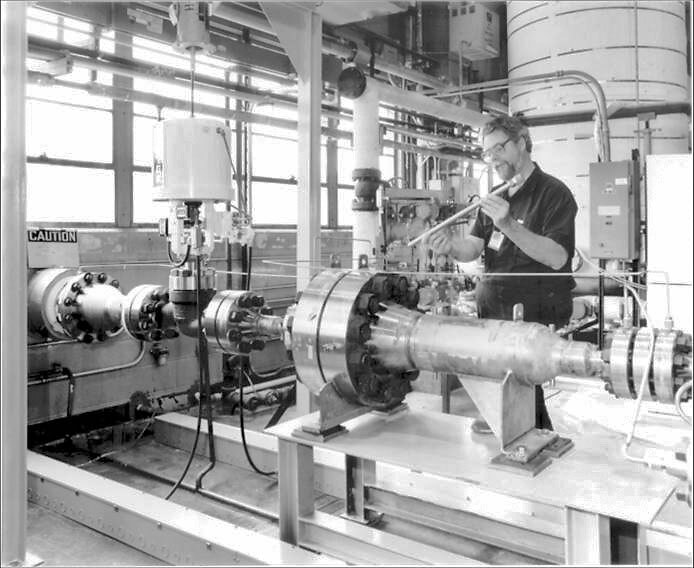 The facility provides a high flow rate of 400 gpm at pressures up to 3000 psi for reasonable test times at temperatures up to 343?C and prototypical single-phase pressurized water flow conditions inside the tube. 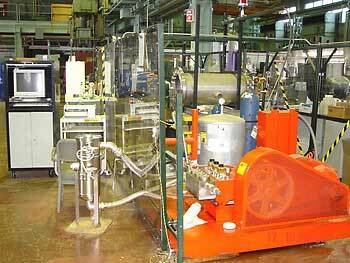 High Temperature Blowdown Facility: provides a high flow rate (400 gpm) at pressures up to 3000 psi at temperatures up to 343°C. Click on each photo to view a larger image. 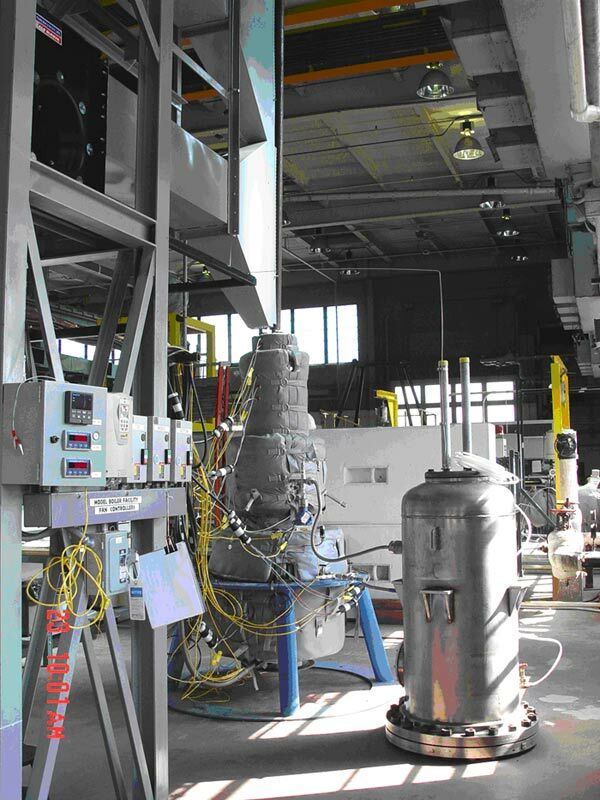 Permits the unstable bursting of tubes that cannot be failed at 3000 psi in the High Temp Blowdown Facility allowing assessment of safety margins. Two stage testing is used to maximize information because flaws can undergo considerable ligament tearing and leakage at pressures lower than that at which unstable burst occurs. Tests conducted to characterize single and multiple axial/circumferential notch opening pressures, data for orifice leak model development, influence of pressurization rate on flaw rupture and others. 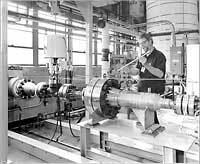 Tests planned in this facility will address the hydraulic aspects of severe accidents by developing a leak rate model from leak rate tests conducted at room temperature and at 700?C. 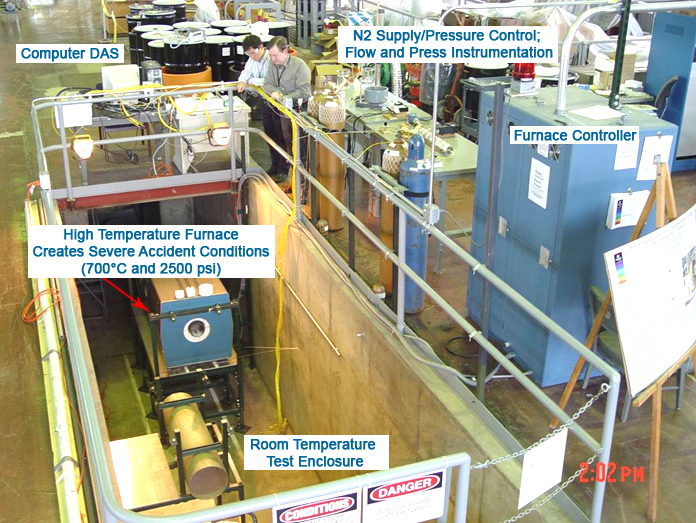 Tests address hydraulic aspects experimentally by developing a leak rate model from leak rate tests conducted at room temperature and at 700°C. 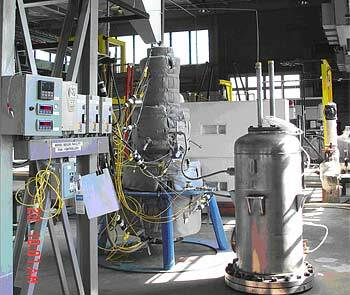 The facility provides more prototypical conditions than those obtained in isothermal autoclave or electrically heated crevice test systems. 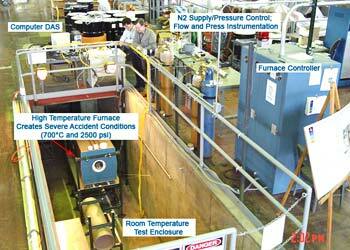 The test conditions can match both the tube wall temperature and crevice heat flux conditions with the prototype. 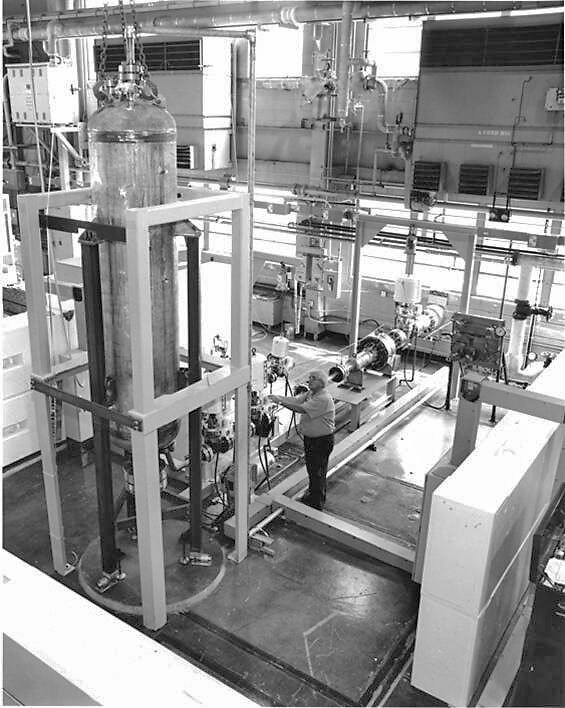 The facility uses a two-chamber pressure vessel (primary/secondary) and a dedicated computer data acquisition system to develop data under precise conditions. Model Boiler Facility: Tests conducted to develop an improved understanding of the interplay between tube heat transfer, crevice geometry, and chemical hideout.